Onwugbenu, a community leader and Papal Knight, the Okpata Ozu’Ora of Nnewi (one whose wealth spreads to all), recalled how the Foundation’s dream and vision began at his 60th birthday anniversary celebrations five years ago and took off with 105 students, but now has over 500 benefitting students, and still growing. “I had discussions with my wife and children when I was preparing for my 60th birthday anniversary about the launch and future of this Foundation, which took root from one of the best universities in the United States, Carnegie Mellon University, founded by Andrew Carnegie, a renowned business magnate, who built his wealth of steel. “At the height of his success and business prowess, he decided to focus more on philanthropy and spend the remaining part of his life and wealth on funding education and its advancement. “Today, the university, which had started like a mustard seed about 200 years ago, has blossomed to become one of the best universities in the world, producing world-class graduates in many fields and discipline.“I appreciate the beneficiaries for their well-packaged choral and drama presentations and for living up to expectations of being professionals in their various fields in no distant time.”He continued: “I am highly excited that the promises made by the benefitting students at the ceremony, that they would strive to justify the confidence reposed in them by the Foundation, has started to produce profound results and in years to come, I visualise the beneficiaries turning out beneficiaries to keep this humble torch of love and brotherliness lit forever. “I appreciate all of them, those in primary, secondary and tertiary institutions, who promised to contribute their quota on graduation towards the sustainability of the Foundation in order to let this my dream remain true and constantly alive.“I will stop at nothing in my continued support to the Foundation to ensure that virtually all bright and dedicated indigent students are able to realise their academic goals unhindered. Onwugbenu, who started basically with nothing, has today grown into a business conglomerate, now known worldwide, with business interest in automobile, household products, power tools, pipe fittings and auto spare parts.He noted that having read and learnt so much from the life and philosophy of Mellon, he urge everyone, particularly the beneficiaries, to work assiduously always to excel and come out tops in their endeavours. He said they had been challenged by Onwugbenu’s benevolence to be a blessing, not just to themselves and families, but also to the entire society, to which the owe a lot of gratitude for bringing Onwugbenu to their lives’ path. A member of the Board of the Foundation and Chairman of the beneficiaries’ screening committee, Lady J.N. Nwangwu, noted that seriousness, dedication and excellence remain paramount in the selection and choice of beneficiaries. 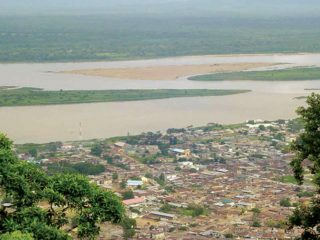 She stated that the project is aimed at making the best of the resources Onwugbenu commits to it and remains open to all indigenes of Uruagu-Nnewi. 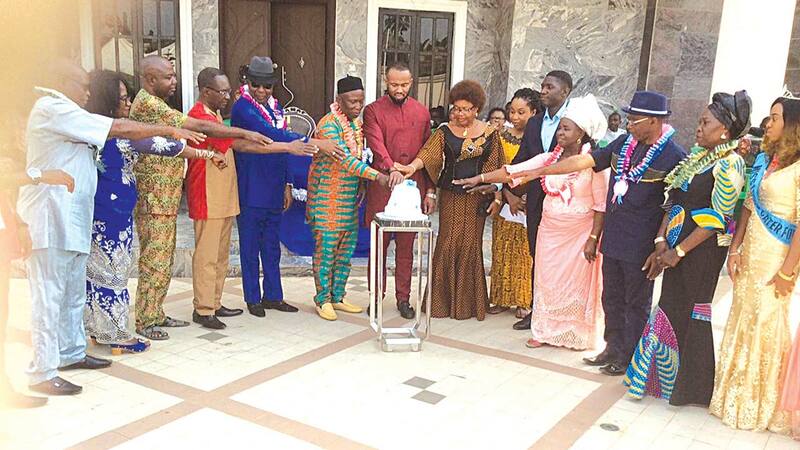 The anniversary, which kicked off with a church service, included the cutting of the anniversary cake by the benefactor, beneficiaries and Board members, as well as other side attractions put together by the students, including dances, songs, mock news and musical presentations. Earlier in his homily during the church service, the officiating minister, Rev Fr. Afam Ike, while commending Onwugbenu, urged other rich and affluent in society to emulate his example, so as to lift some boys and girls from the clutches of destitution to greatness and usefulness.